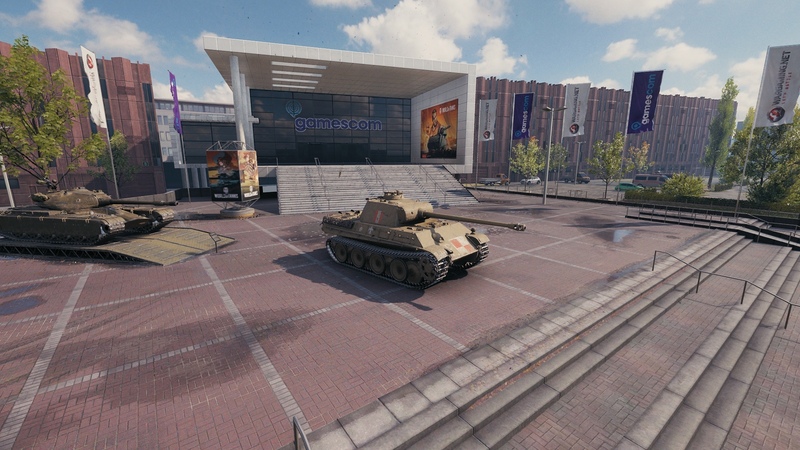 Between 21 and 25 August in Cologne, once again, one of the largest computer fairs in Europe – Gamescom, will be held. 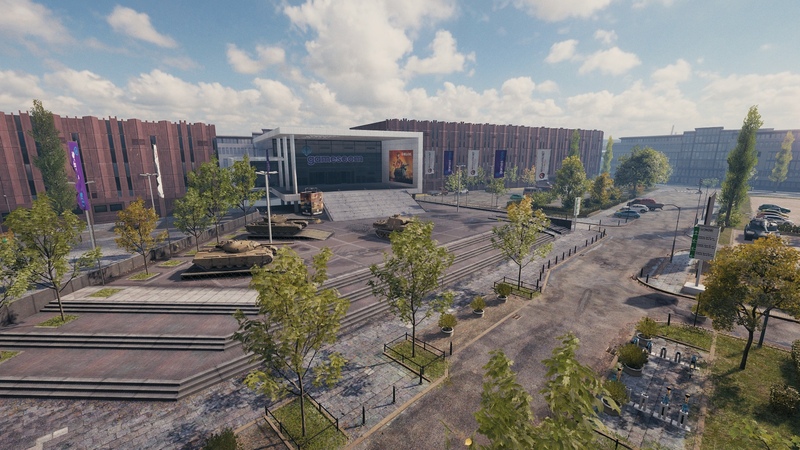 Wargaming also announced its participation, while making a special garage in HD. 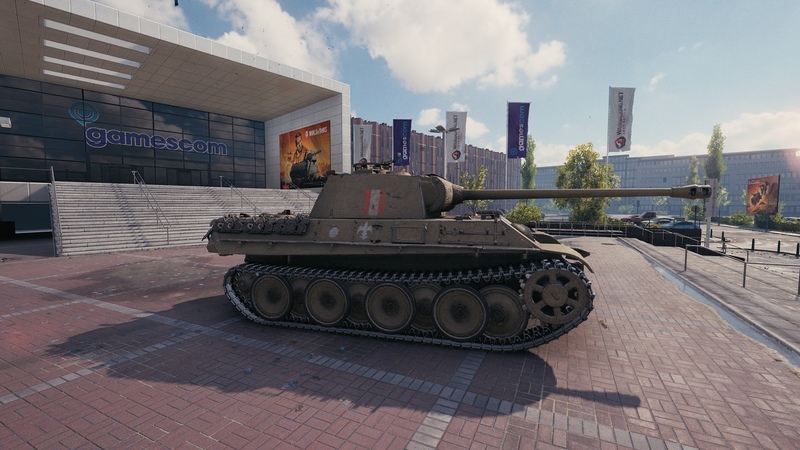 We can probably expect them to release new premiums currently in supertest. 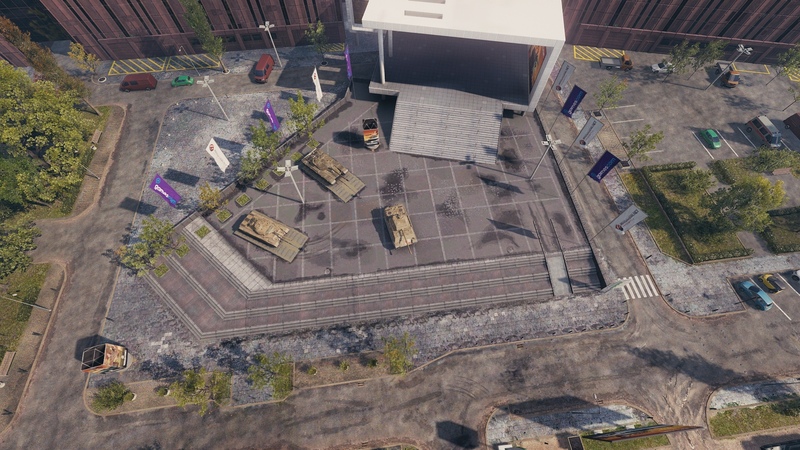 Garage mods are becoming like an ad blocker for WoT nowadays, used Minimalistic Hangar to avoid football mode ugliness and now going back to it for this new one. 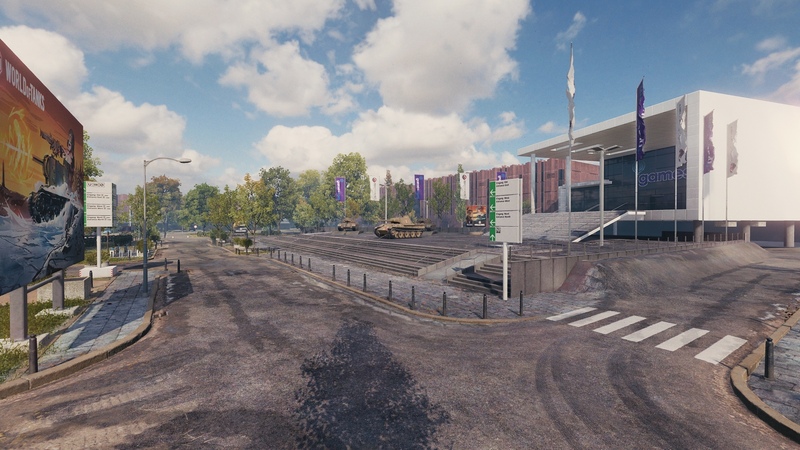 Looks like a car dealership with 2 new models for sale on display, personally i find it off-putting and breaking the immersion of a tank battle game. 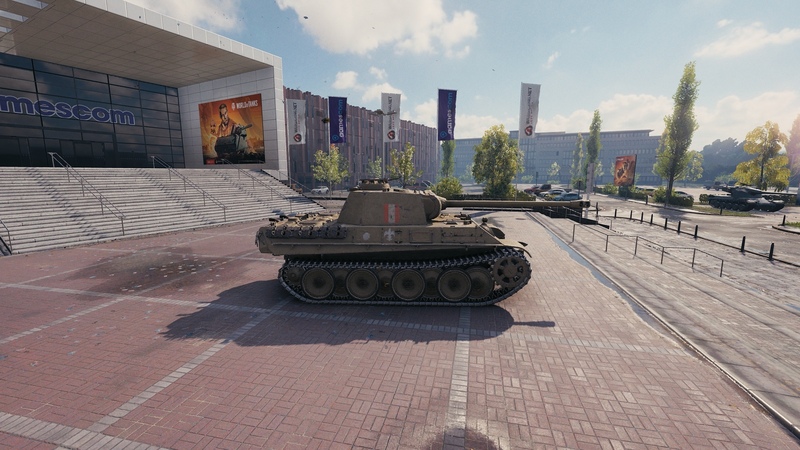 What new premium tanks are being tested now? 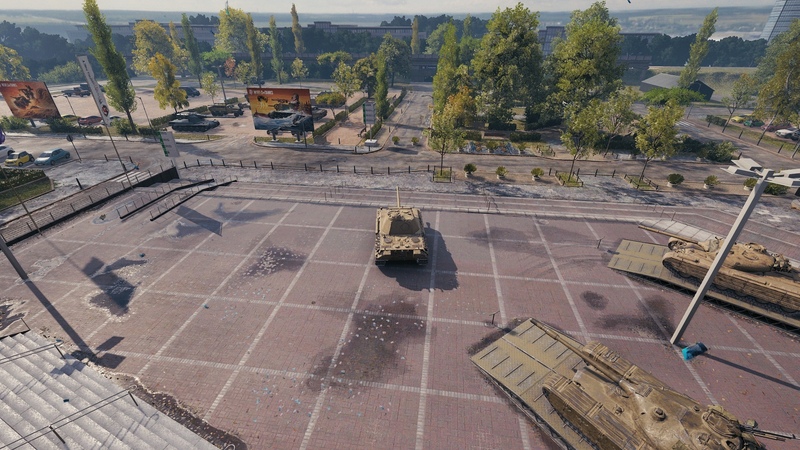 Well in recent activity the Caern AX got a new camo. So did the Kanonjgpz 105. 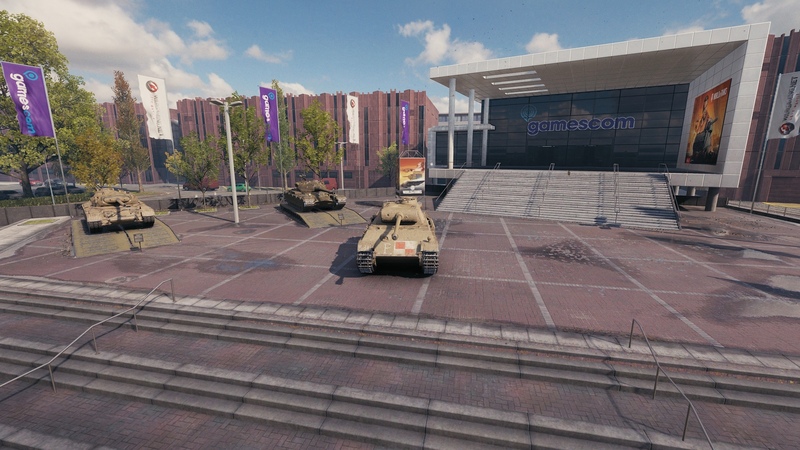 And ofc the tier 7 gamescon Pershing.